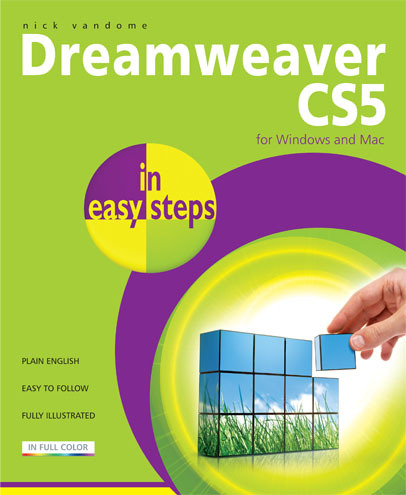 Dreamweaver CS5 is the most powerful and versatile web authoring program on the market. However, for all but the most experienced, it takes some time to become familiar with all of its features. Dreamweaver CS5 in easy steps helps clarify and speed up this process and ensures that you can get the most out of this industry standard program. The book looks initially at getting started with Dreamweaver. It then deals with the increased number of options for laying out your workspace when working with the program. This enables you to get the most out of both design and code views. It also looks at Live View and how this can be used to preview your content. CSS is integral to modern websites and this is covered in detail: from the basics of CSS, to creating and applying styles so that you can produce standards-based websites that have a consistent look and feel across all pages. New features, such as the CSS Inspection tool are also looked at, so you can quickly review and edit your CSS elements. 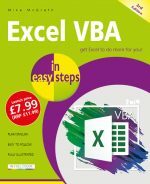 The book also looks at some of the features for streamlining your workflow, such as using images directly from Photoshop and using the new browser navigation toolbar. It also shows how to review your pages in a variety of browsers, using the Adobe BrowserLab. Aimed at anyone who wants to produce high quality websites, without worrying about complex issues such as database administration, Dreamweaver CS5 in easy steps is designed to help you unleash your creative potential as effectively as possible.